If you been looking at my posts, you would notice that I take many pictures of the sun raise and set and the same goes for the moon. For my 60th birthday, my wife Michele got me a Nikon D7100 camera, not the state of the art, but a good camera. We are retire and on budget, so we need to watch how we spend our dollars. It would be nice to have the new Nikon D7500, but it only have on slot for disk and the D7100 have two. I forfeit the Bluetooth and WiFi, but still got an amazing camera. My first camera as an Konica. I used it when I was in the Coast Guard and I always dream about become a professional photographer, but that ship had sail. I wanted to get back to 35mm camera environment where you control the setting. All my picture in this blog are from using Manual Mode. Now I just enjoy taking picture of scenery and nature. The 3 pictures below we take during and after the full moon in September. It rained on the 6th of September, so taken as I get them. 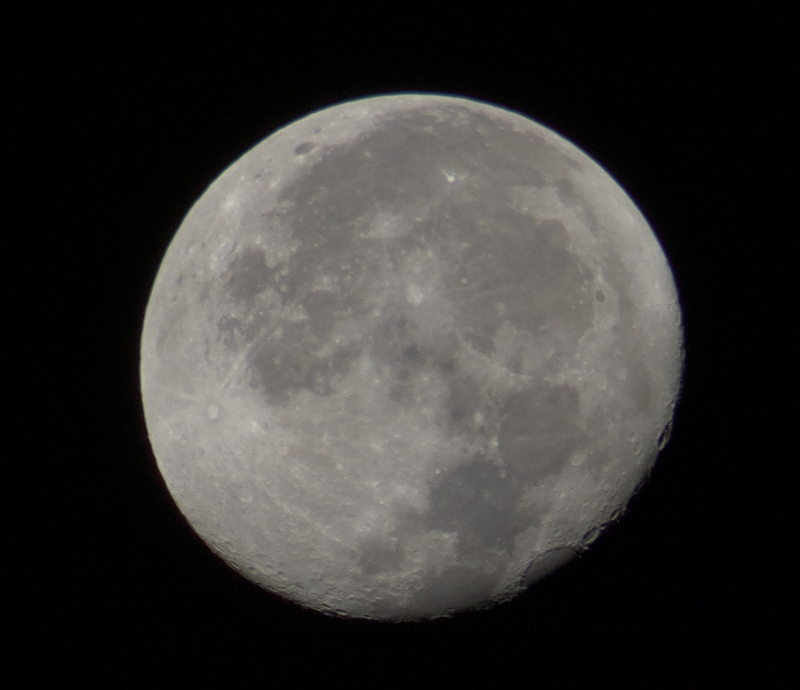 The full moon was taken on 5th of September at 20:50:08, ISO 1000, Aperture f/14, Shutter Speed 1/250. Waning Gibbous 98% on 7th of September at 21:20:57, ISO 200, Aperture f/7.2, Shutter Speed 1/200 (moon raising). Waning Gibbous 98% on 8th of September at 06:20:57 , ISO 400, Aperture f/6.3, Shutter Speed 1/200 (moon setting).